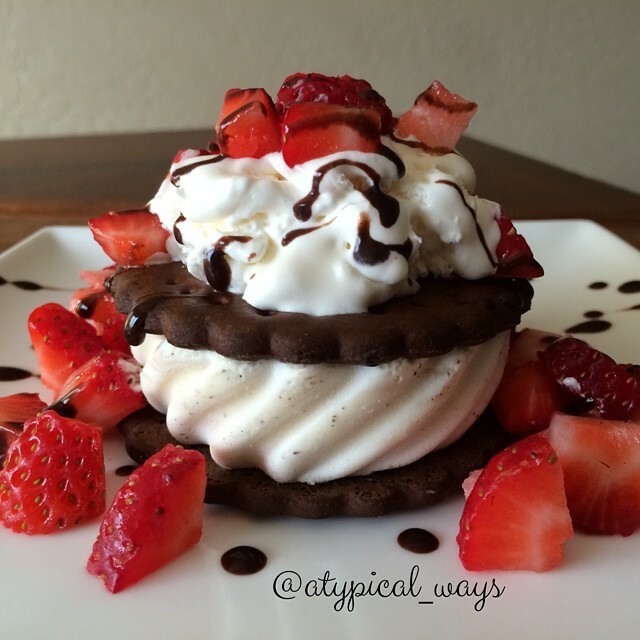 Strawberries & Cream Ice Cream Sandwich Sundae with only 150 calories! 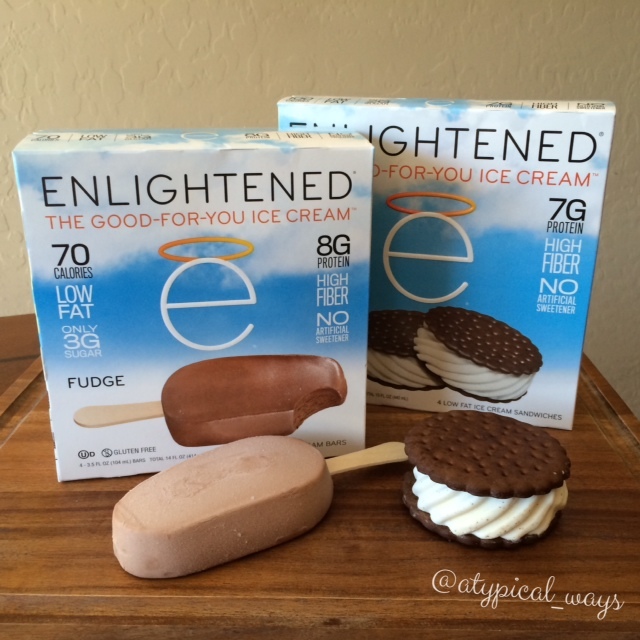 Thank you Enlightened Ice Cream (@eatenlightened) for existing! Without you, this would not have happened tonight! Layer the ice cream sandwich with Cool Whip & cut up strawberries. Top with a little sugar free chocolate sauce!